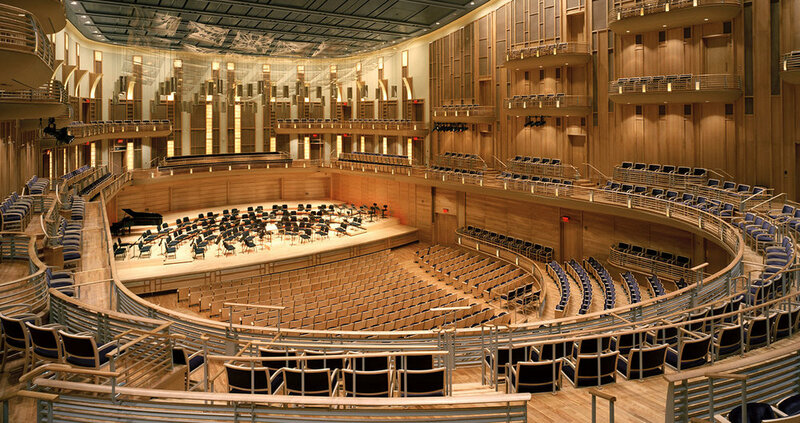 This flexible concert hall is warm and intimate and possesses a superb sound. The concert platform supports dance and other basic productions as well as symphonic music. The side walls of the platform pivot to expose wing space. The platform has an orchestra pit lift and choral riser lift that provide access to storage below. A gridiron over the platform supports production rigging and an infinitely adjustable acoustic reflector array. Gene Leitermann was project manager (through design development) and principal in charge for Theatre Projects.